Welcome to the Los Angeles Running Club (LARC)! LARC is a non-profit, all-volunteer running club located in Santa Monica, California for runners and walkers of all abilities. Whether you’re looking for track workouts, long runs, fun runs, race walking, social events, training, information, or running resources, you're in the right place! Our Wednesday Night Track program offers defined workouts for Interval, Repetition, Track Light, and Walking levels. 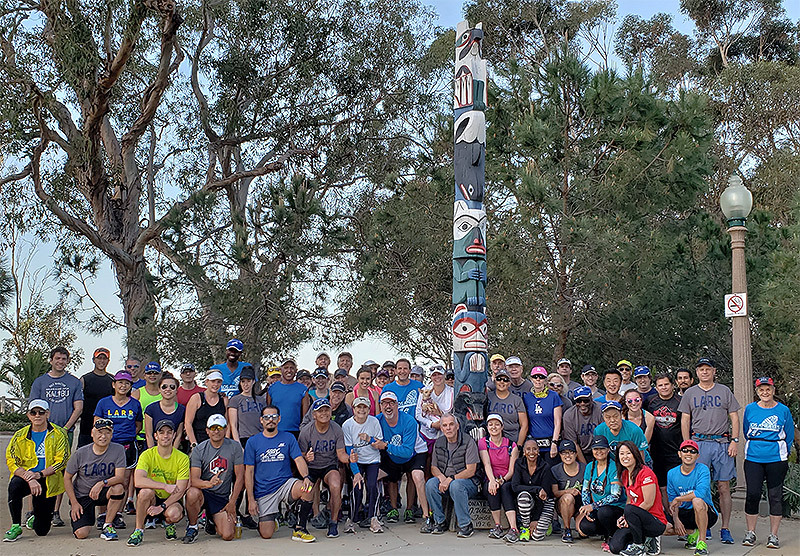 If you’re new to running/race walking, training for your first half marathon, looking to get faster, or simply want to meet some friends via this passion we call running, the Los Angeles Running Club is here to make it happen.